Get 5€ discount until 23:59pm 20th of March! How? 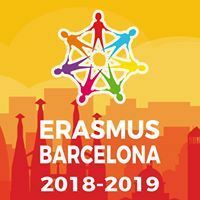 Download and install our application “Erasmus Barcelona” on the Appstore or Playstore. The Bardenas Reales is undoubtedly one of our most unique trips. It is obvious that Spain is an amazing country but the diversity of its landscapes is beyond imagination! On this trip this statement will be surely proven. 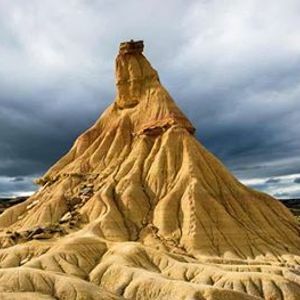 Bardenas Reales Natural Park is situated in south-east Navarre and covers 42.500 hectares. Despite of its bare and tough appearance, its natural values are significant – it is also declared a Biosphere Reserve by UNESCO. As a fragile ecosystem Bardenas Reales sustains a wide range of wild animals: eagles, vultures, owls, great bustards, foxes, mountain cats, genets, amphibians and reptiles. In the remote past it was even inhabited by crocodiles and turtles. In the semi-desert of Bardenas Reales the erosion of clay, chalk and sandstone soils has sculpted lunar landscapes over millions of years. 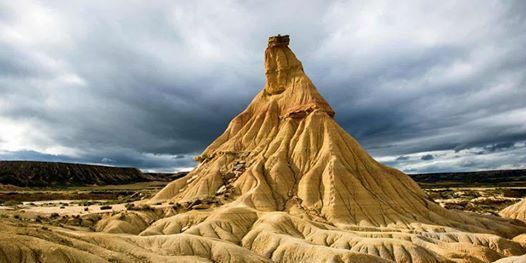 You can be sure, at the formations of Castildetierra and Pisquerra you will take incredible pictures. Bardenas Reales is aslo the home of the Khalasars. As a Game of Thrones filming location. it appeared in season 6 as the Dothraki Sea, a vast area of the continent of Essos. Another intersting fact is that in the middle of the Bardenas Reales area the biggest military zone in western Europe can be found. If you want to add a super unique experience to your Erasmus memories, you definitely need to join this trip. This trip will be liked not only by you, but also by your camera, your Instagram audience, and your family back home. º12:30 We start our tour in Bardenas Reales area. We will have 2 stops where you can take off the bus and enjoy this unique desert. Don't forget to download the Erasmus Barcelona app for discounts!? * There are limited spots so HURRY UP! Please feel to contact us if you have more questions about this trip!